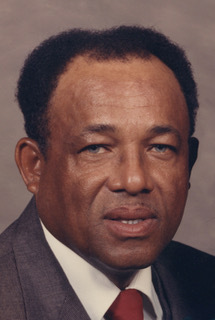 Nathaniel "Nate" Thomas, age 85, of Henderson, entered into his eternal rest at 8:33 a.m. Thursday December 6, 2018 at Lucy Smith King Care Center in Henderson. Born August 11, 1933 in Henderson, he was the son of the late Allen and Lucy Blackwell Thomas. He was a faithful member of Greater Norris Chapel Missionary Baptist Church in Henderson, where in earlier years, he served on the Usher Board. He retired from the City of Henderson Water Department after over 40 years. Nathaniel loved all sports. He loved horse racing, basketball, and football. He was an avid Henderson County Colonels and University of Kentucky basketball fan. He also loved the Los Angeles Lakers. He also was preceded in death by one son, Phillip W. Compton, who died on November 13, 2018; three brothers, John Thomas, Wilson "Little Brother" Tillerson, and George Thomas; five sisters, Elizabeth McFarland, Mary Rankin, Drucilla Williams, Ethel Thomas, and Margaret Thomas. He leaves behind to cherish loving memories, his loving and devoted wife of over 50 years, Florence McElroy Thomas of Henderson; two sons, Paul and Waylon Suggs both of Henderson; one step-son, Kenneth Baughman of Tallahassee,Florida; one daughter, Minnie (Ronnie) Eldridge of Henderson; two step-daughters Cynthia Chester of Evansville,Indiana and Mary Arnett of Henderson; one special nephew/caregiver, Troy Whitlock of Henderson; 8 grandchildren; and a host of nieces, nephews, cousins, and friends. His life will be celebrated at 11:00 a.m. Tuesday December 11, 2018 at Greater Norris Chapel Missionary Baptist Church. The Rev. Charles E. Johnson will officiate. Burial will be in Fernwood Cemetery in Henderson. Visitation and wake services will be after 10:00 a.m. until service time Tuesday at the church where a Celebration of his Life DVD will be shown. A special thanks to Methodist Hospital ICU, Caretenders, and St. Anthony's Hospice for your outstanding care. Elliott Mortuary in Madisonville is in charge of the arrangements.